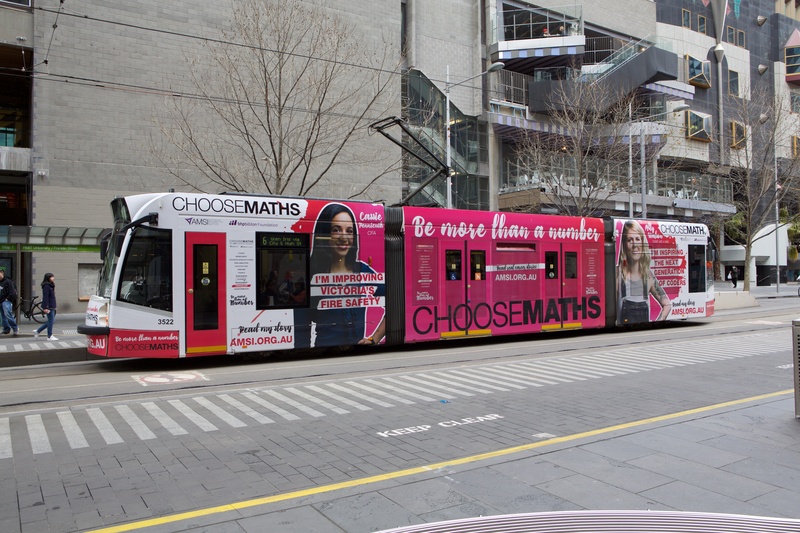 Rolling out from 9 August to coincide with National Science Week and Year 12 and university subject selection, AMSI and the CHOOSEMATHS project’s national public transport and digital push is just the latest stage of the CHOOSEMATHS Careers Awareness campaign. With over 75 per cent of our fastest growing employment sectors demanding STEM skills (science, technology, engineering and maths), it is hoped students will be inspired to choose maths and keep their options open. 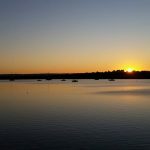 You can see the trams and buses across Melbourne, Sydney and Perth and the digital adverts across various platforms nationally. 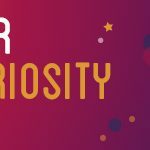 The campaign features 12 of our careers ambassadors who share their personal stories and varied backgrounds highlighting the industry impact of maths from medical research and computer coding to astronomy, mining and fire management. Keep your eyes peeled and if you spot a CHOOSEMATHS tram or bus make sure you share and tag us on social media.